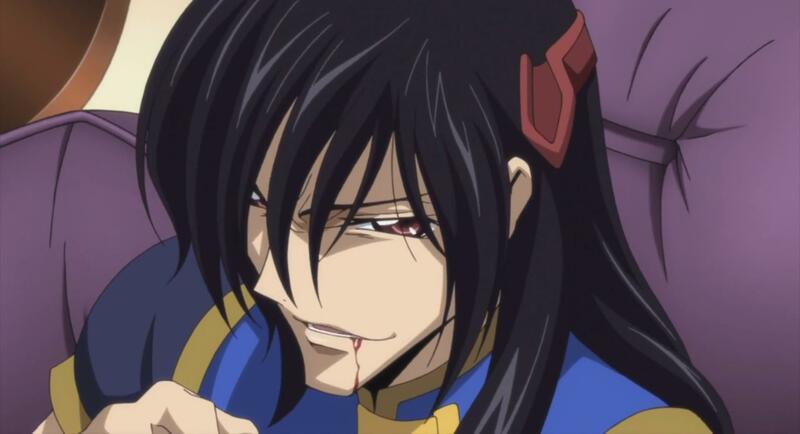 Throughout Code Geass R2, Xingke was shown to bleed through his mouth for no apparent reason, especially in a plane or a knightmare. Does he have the same sickness as Itachi in Naruto or what? P.S. In that picture (when the million Zeros get exiled), he says "Don't be concerned, I just have to last a little longer." In fiction, when people cough up blood that usually means they have tuberculosis. It's a standard way to depict the illness like that. Does Rolo's Geass have no Limits?